From its white sandy beaches to the turquoise waters, Playa del Carmen, Mexico in the Riviera Maya is a popular destination for your family vacation. Its beautiful shallow coral reefs provide a perfect opportunity for kids to explore the underwater world. 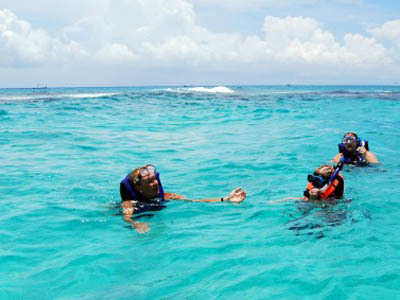 Daily snorkeling tours by GeoFish Dive Center, located in downtown Playa, just east of the pedestrian-friendly 5th Avenue, are also kid-friendly. 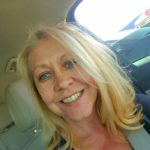 On our recent family vacation to Playa del Carmen, I wanted to include as many experiences as possible for my grandchildren. 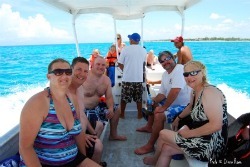 At the recommendation of our friends at Wicky’s, we visited GeoFish Dive Center to book two boats to take our group of 25 for a Riviera Maya snorkeling trip. It was about a 10 minute walk down the beach from our all-inclusive resort, the Gran Porto Real. Less than 20 minutes later, the crew anchored the boat, and after liberal applications of biodegradable sunscreen, we all dropped into the water near the shallow reefs. With an average depth of 6 feet, I’m always amazed at the clarity of the turquoise Caribbean waters near Playa. Simply looking over the edge of the boat often nets glimpses of the underwater world below including Caribbean reef fish, coral formations and bright colors. My granddaughter Kaydence at age 6 1/2 is already a confident swimmer, so we lowered her into the water (lifejacket on!) beside her mother, my oldest daughter. Within minutes, Kaydence was kicking her flippers with her masked face in the water and snorkel up. Another few minutes and she was excited at her first underwater sighting – a large blue fish. She stayed out in the waters for almost the entire 45 minutes. Grandson Ryland, age 4 ½, is a new swimmer, and so he wasn’t as confident. With life jacket on, he began snorkeling with his Dad Lewis, but he felt uncomfortable with the snorkel and mask. We brought him back into the boat, and then one of our crew members, Omar, swam up to the boat so that Ryland got a first-hand look at a starfish. Ryland was so fascinated with the possibilities in the underwater world that he wanted to get back into the water. This time, we removed the snorkel, leaving the mask on, and lowered him to crew member Omar, who swam him around the turquoise waters. Omar would locate the sea creatures and then Ryland would put his masked-face into the Caribbean. It was wonderful how patient Omar was with our little grandson, allowing him to have the most amazing experience. When Ryland returned to the boat, he was so excited about all the colors of fish he was able to see! The best part is that the 2 hour snorkeling adventure was just $25 per person, including snorkeling gear! My grandchildren and the other 23 adults are still talking about our family snorkeling adventure with GeoFish Dive Center. 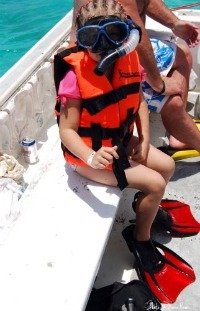 I was impressed by their kid-friendly approach and how they took the time to patiently explain and answer all questions posed by my grandchildren and the other first-time snorkelers in our group. Playa del Carmen really is the perfect destination for your multigenerational family vacation in Mexico and your first snorkeling experience!